WhatsApp will be more powerful if you can use it in your own local language. Right? Facebook-owned app extended its support to Indian local languages last year. It was a revolutionary update made by the company which allows you to access the settings and tabs in the language you love most. In this post, we’ll tell you how to use WhatsApp in your preferred language. Open your WhatsApp app on Android/iOS first. Tap three dots icon from the top-right corner of your home screen to view and open ‘Settings’. A new screen will appear with the settings relating to account, chat, and notifications. Click ‘Chats’ settings. 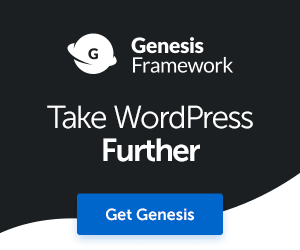 It covers options to backup your chats, change your font size, set wallpapers and others. 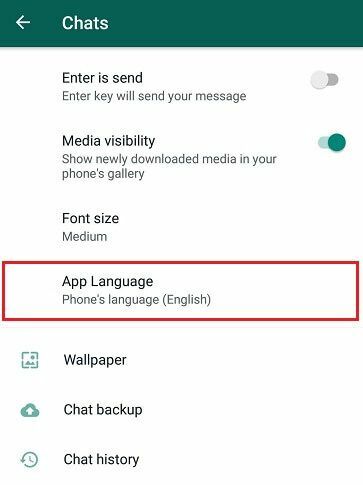 Find and select ‘App language’ option. 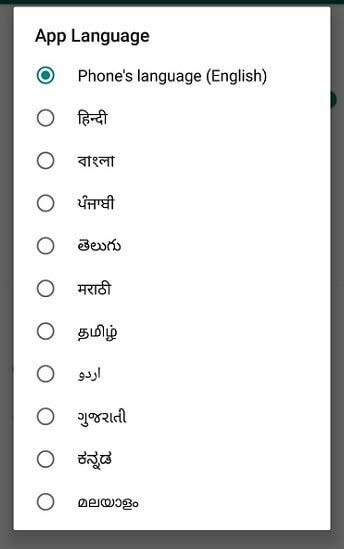 Now you will see a list of Indian local languages. Choose a language in which you want to use the app. 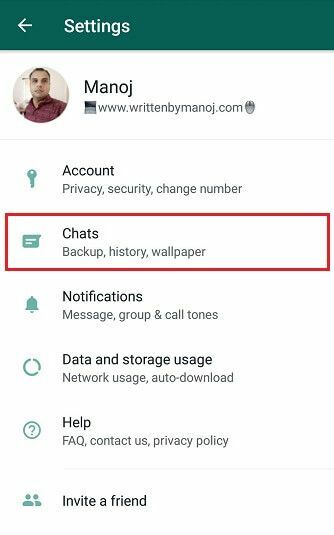 WhatsApp tabs and settings will appear in the new language. But still, the change will not affect the messages you send or receive through the app. You can chat or type messages as usual based on your phone language. How to Boy Copyright © 2019.